Growing up in North Wales, I never understood why Llanberis, the once drearily grey ghost town at the foot of Snowdon, was not reinventing itself from its long gone quarrying roots into a vibrant hub of outdoor-tourism, sporting pretty shops, great places to eat and loads of accommodation to catch the mass of traffic that passed though Snowdonia every weekend. These days, and thankfully, the town is living up to that potential. It’s partly testament to the local businesses there, who have stood fast for years knowing that one day Llanberis would be the logical centre for outdoor-activity tourism in the national park. 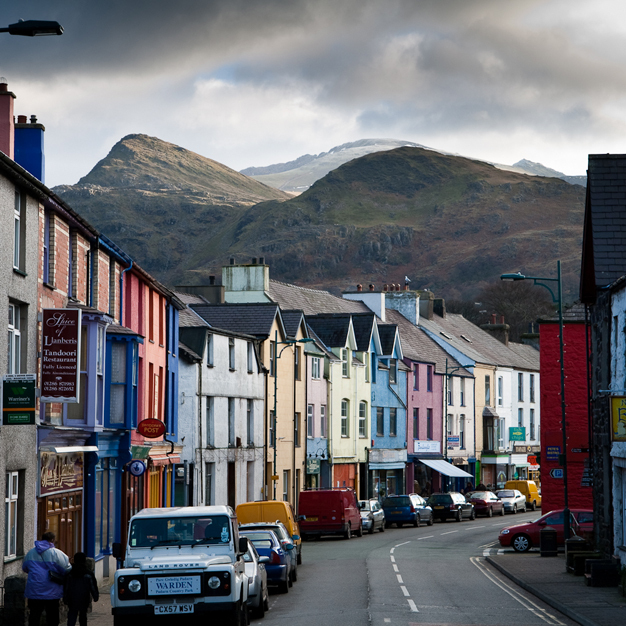 I hardly recognise the colourfully painted town cowering under Snowdon from my days growing up in Wales. Here’s hope it continues to surprise. As a mindfulness practice, notice how much of your energy is being stolen from you by the time-bandits of the past and the future. Make a conscious choice to step into the now through photographic practice.